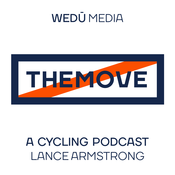 THEMOVE takes the show on the road to George's Hotel Domestique in Greenville, SC. The guys break down the utter dominance of Deceuninck-QuickStep with 4 riders in the top 8. The great ride by Nils Politt under the direction of Dirk Demol and what his future holds. The guys also look at the history of the city of Roubaix and end the show with some live Q&A from the crowd. Today's show is once again sponsored by Starting on 4/16 check out their site wide sale with items up to 80% off and ID's starting at $15. You can also use the code Flanders for $10 off an ID. Lance and JB review Ronde van Vlaanderen, the second of the 5 monuments. Alberto Bettiol picked a perfect time to take down his first pro win. The guys discuss the Italian's victory and also break down the amazing recovery and ride from Mathieu van der Poel after a crash. Lance discusses the struggles of some of the teams unable to organize towards the end of the race. Today's show is sponsored by For a limited time listeners of THEMOVE will receive $10 off their purchase. Use the code Flanders at checkout.